A warrior-bishop who collected taxes. John Halton, or de Halton, was an Augustinian Canon in Carlisle. He was elected the ninth Bishop of Carlisle on 23 April 1292 making him bishop during the reigns of Edward I and then Edward II – and putting him on the front line for the First Scottish War of Independence. As well as caring for the spiritual concerns of his flock- his Register of the incumbents of the diocese still exists- he was also a busy diplomat and entertainer of royalty. The Magna Britannia records him entertaining the king at Rose Castle (the principle residence until recently of the Bishops of Carlisle) in 1306 from 28 August until 10 September. He was sent to Scotland in 1294 by the king and was a papal tax collector in Scotland (which possibly didn’t enhance his popularity with the locals and may account for why the Scots burned Rose Castle down at the first available opportunity – though obviously that’s my own personal spin on events). 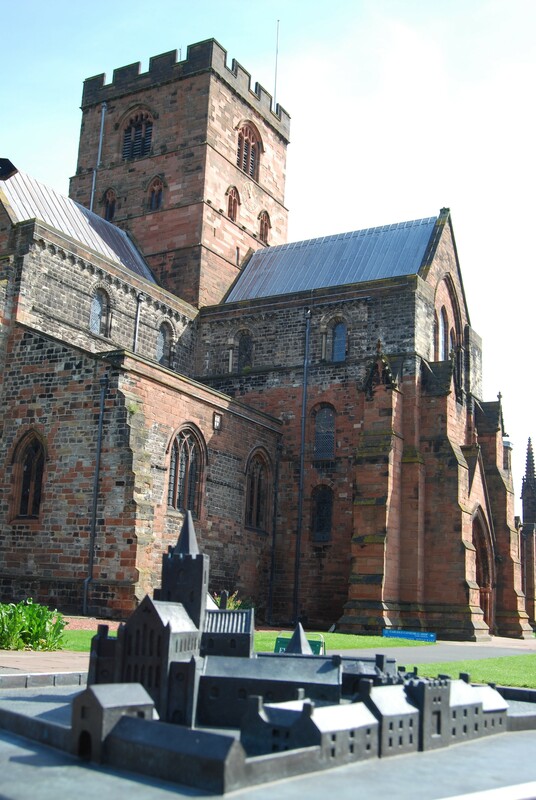 On a more factual level, he was Governor of Carlisle Castle at one point, so had custody of Scottish prisoners and hostages – little did he realise that five hundred years later there would be so many Scottish Jacobite captives in Carlisle that the cathedral would have to be used as a prison. It was Halton together with the Archbishop of York who excommunicated Robert Bruce in 1305 after the killing of John Comyn and in 1306 he absolved everyone of their offences against the King’s enemies in Scotland which must have pleased the English borderers no end as they could then steal and kill with neither fear of hellfire and damnation nor, at the very least, a long time in Purgatory. For his pains he was involved in the Seige of Carlisle in 1314 when Edward Bruce attempted to take the city. He fled the border for large chunks of time enjoying the peace and quiet of Lincolnshire. He was one of the king’s representatives in the treaty signed between England and Scotland in 1320. The following year he turned up at a meeting held by Thomas of Lancaster which was the first indication of the barons uprising against Edward II. There’s no evidence that Halton was involved any further but trouble and the bishop seemed to have gone hand in hand. He died in 1324 having lived through some turbulent times on the border. This entry was posted in Anglo-Scottish history, Border Reivers, Carlisle, Cathedrals, Fourteenth Century, Thirteenth Century and tagged Carlisle Castle, Edward Bruce. Siege of Carlisle, Edward I, Edward II, First Scottish War of Indepependence, John de Halton, John Halton, Robert Bruce, Rose Castle, Thomas of Lancaster by JuliaH. Bookmark the permalink.